Adam Owens was there before it happened. He was in the spot before all of the attention, acclaim and recognition came. Adam Owens stuck through thick and thin, and now, his patience is being rewarded. Owens, a freshman, hails from Fort Wayne, Indiana. 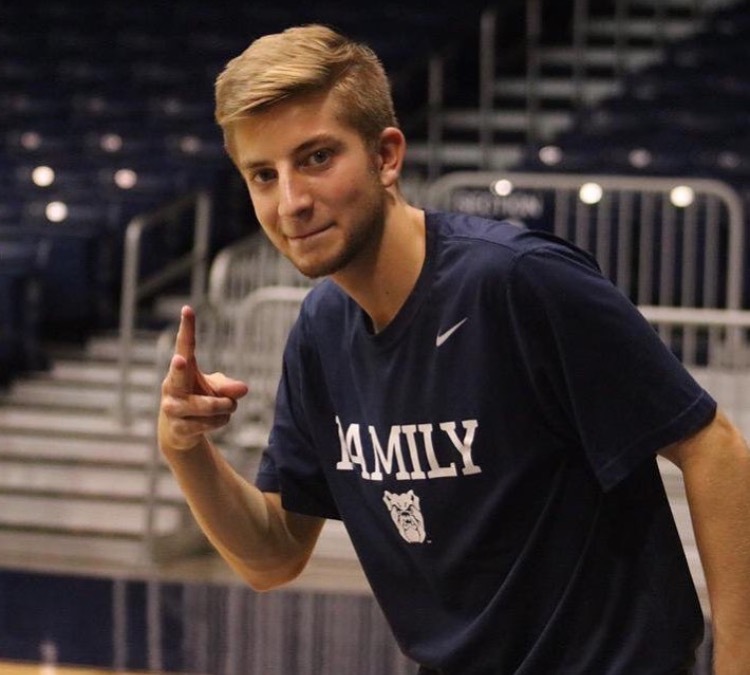 He currently serves as a manager for the Butler University men’s basketball team. His father, Craig Owens, graduated from Butler in 1990. Craig passed down the Butler magic to his oldest son, and Adam has cheered for the Dawgs since he was a young pup. Craig believes that the unbridled Butler spirit was instilled in his son. Ask him about Adam, and his voice beams with pride. As a manager, Owens understands that the elbow grease come with the job. You might see him as one face in a sea of over 9,000 people, but the true grind occurs when no one is watching. Craig is convinced that his son is a basketball savant. His uncanny knowledge of the game serves him well on the sidelines. For Owens, being a member of this basketball-crazed community is the most satisfying part of the job. His palpable passion resonates with his polo-wearing peers. His upbeat demeanor strikes a chord with the players. His energy lifts the Bulldogs when they need help. Sturtevant could see the potential bond between he and Owens from day one. McDermott pinpointed what so many others have felt: Owens’ passion extends far beyond 510 W. 49th Street.